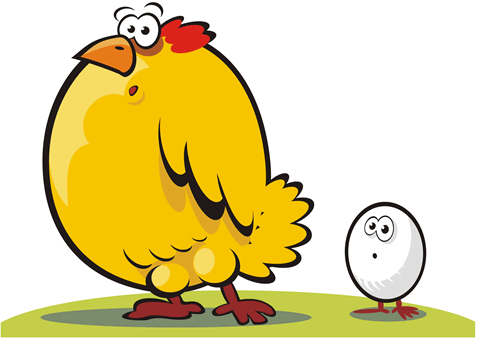 Equities are like crystal balls – they can help you predict the future of currencies. In a way, you can use the equity indices as some kind of a forex crystal ball. 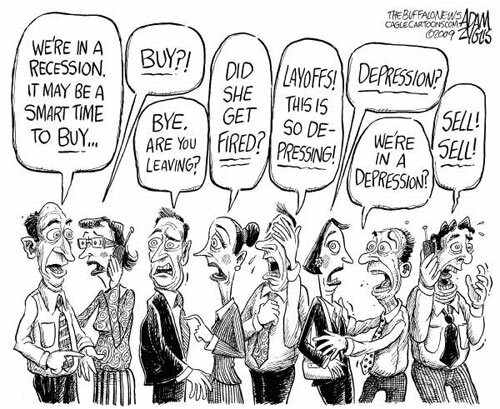 Based on what you see on the television, what you hear on the radio, and what you read in the newspaper, it seems that the stock (equity) market is the most closely covered financial market. One thing to remember is that in order to purchase stocks from a particular country, you must first have the local currency. To invest in stocks in the Japan, a European investor must first exchange his euros (EUR) into Japanese yen (JPY). Weak stock market = weak currency. If you bought the currency from the country with the stronger stock market and sold the currency from the country with the weaker stock market, you can potentially make some nice dough. The Dow Jones Industrial Average (or Dow for short), is considered to be one of the premier stock indexes in the U.S. It measures how well the top 30 publicly owned companies are trading. Despite the name, barely any of the companies have anything to do with industrial production and are instead representative of some of the biggest companies in America. It is closely watched by investors around the world and is highly indicative of market sentiment, thus making it sensitive to both local and foreign economic and political events. The companies that are part of the Dow are so large that you probably deal with at least one of them every day. Imagine life without AT&T, McDonalds, Pfizer or Intel? Yes – these companies are all listed in the Dow! The Standard & Poor 500, more commonly known as the S&P 500, is a weighted index of the stock prices of the 500 largest American companies. It is considered a bellwether for the American economy and is used to predict its direction. After the Dow Jones Industrial Average, it is the most traded index in the U.S. Some mutual funds, exchange-traded funds, and other funds such as pension funds, are designed to track the performance of the S&P 500 index. Hundreds of billions of U.S. dollars have been invested in this fashion. NASDAQ stands for National Association of Securities Dealers Automated Quotations. It refers to the largest electronic screen-based equity securities trading market in the U.S., comprising of approximately 3,700 companies and corporations. It also boasts of having the largest trading volume among the world’s stock markets. The Nikkei, similar to the Dow Jones Industrial Average, is the most widely quoted average of the Japanese stock market. It is a price-weighted average of the top 225 companies and is supposed to be reflective of the overall market.The Nikkei includes companies like Toyota, Japan Airlines, and Fuji film. The DAX is short for the Deutscher Aktien Index (you’re probably better off remembering just DAX). It is the stock market index in Germany that consists of the top 30 blue chip companies that are traded on the Frankfurt Stock Exchange. With Germany being the largest economy in the euro zone, the DAX is normally the most closely watched index within the whole euro zone. Some companies that are part of the DAX are Adidas, BMW, and Deutsche Bank. The Dow Jones Euro Stoxx 50 index is the euro zone’s leading blue-chip index. It comprises over 50 top-sector stocks from 12 euro zone countries. It was created by Stoxx Ltd., which is a joint venture of Deutsche Boerse AG, Dow Jones & Company and SIX Swiss Exchange. The FTSE (pronounced “footsie”) index tracks the performance of the most highly capitalized UK companies listed on the London Stock Exchange. There are several versions of this index, such as the FTSE 100 or FTSE 250, depending on the number of companies included in the index. The Hang Seng index is a stock market index in Hong Kong. By recording and monitoring the daily price changes of the stocks included in the index, it tracks the overall performance of the Hong Kong stock market. This index is currently compiled by the HSI Services Limited, which is a subsidiary of Hang Seng Bank. One issue with using global equity markets to make forex trading decisions is figuring out which leads which. Are the equity markets calling the shots? Or is it the forex market that wears the pants in the relationship? The basic theory is that, when a domestic equity market rises, confidence in that specific country grows as well, leading to an inflow of funds from foreign investors. This tends to create a demand for the domestic currency, causing it to rally versus other foreign currencies. On the flip side, when a domestic equity market performs terribly, confidence falters, causing investors to convert their invested funds back into their own local currencies. Sounds great in theory, but in reality, it’s…complicated. 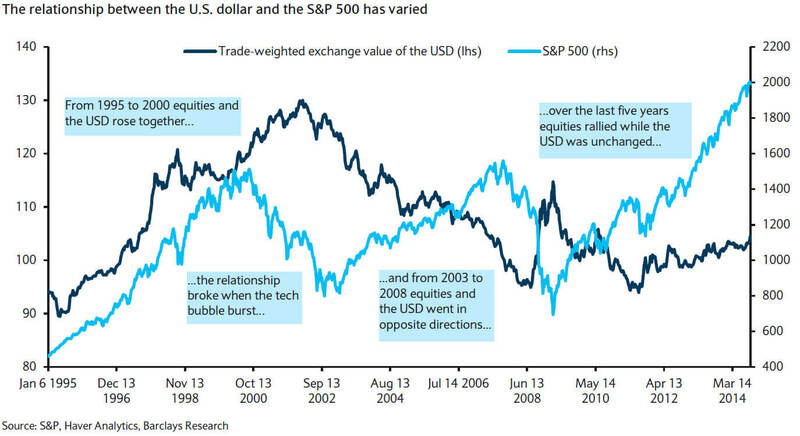 For example, the historical relationship between the U.S. dollar and the S&P 500 hasn’t been consistent. As shown below, over the last 20 years they have moved together, moved in opposite directions, and have been unrelated. But that doesn’t mean the relationship is useless. You just have to know when the correlation is working (whether negative or positive) and when it’s not. Here’s an example where for U.S. and Japan stocks moved in opposite directions of their currencies. Any upbeat economic figures in the U.S. and Japan more often than not weigh down on their respective currencies, the dollar and yen. First, let’s take a look at the correlation between the Dow Jones Industrial Average and the Nikkei to see how stock markets all over the globe perform relative to each other. Since the turn of the century, the Dow Jones Industrial Average and the Nikkei 225, the Japanese stock index, have been moving together like lovers on Valentine’s Day, falling and rising at the same time. Also notice that sometimes one index leads, rallying or dropping first before being followed by the other index. It doesn’t happen every single time, but you could say that stock markets in the world generally move in the same direction. 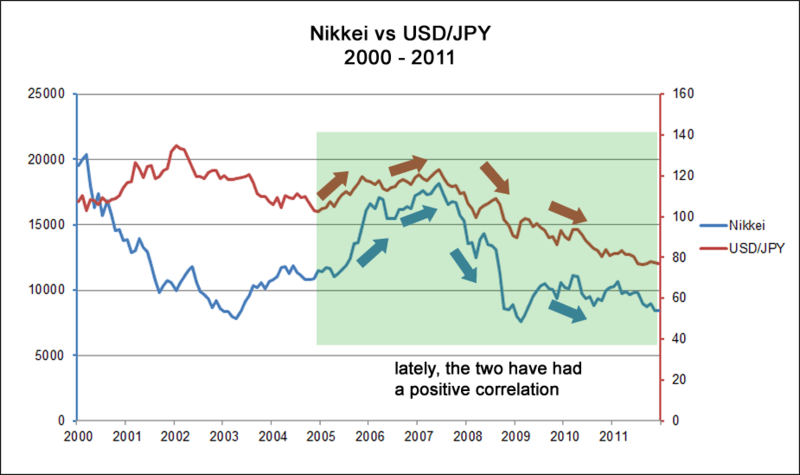 Before the global economic recession that started in 2007, when most economies suffered consecutive quarters of negative GDP growth, the Nikkei and the USD/JPY were inversely correlated. Investors believed that the performance of the Japanese stock market reflected the status of the country, so a rally in the Nikkei led to a strengthening of the yen. The opposite also held true. Whenever the Nikkei would drop, USD/JPY would rise as well. When the financial crisis hit, however, the relationships just went crazy like Lindsay Lohan. The Nikkei and USD/JPY, which used to move oppositely, now move in the same direction. Who would’ve thought that stocks would have something to do with the foreign exchange market? 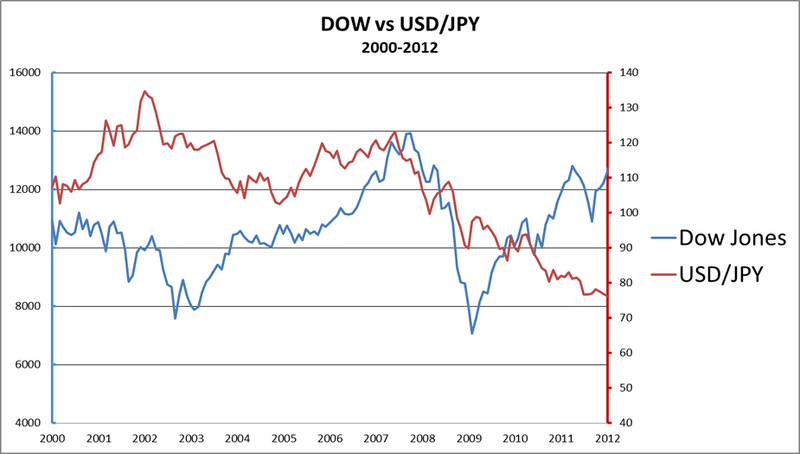 Let’s take a look at the correlation between the USD/JPY and the Dow. 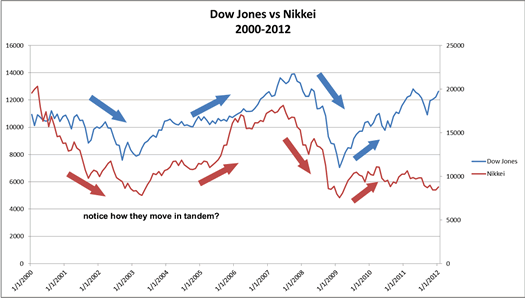 Based on what you read earlier, you might assume that the USD/JPY and Dow would be highly correlated. However, a look at the chart below would tell you that it isn’t quite the case. While the correlation is positive, it isn’t as strong. Take a look at the Dow (blue line). It peaked at 14,000 late in 2007 before dropping like a hot potato in 2008. At the same time, USD/JPY (orange line) also fell, but not as sharply as the Dow. This serves as a reminder that we should always take into account fundamentals, technicals, and market sentiment, so always read up! Don’t take correlations for granted because they aren’t a sure fire thing! As we said earlier, in order for someone to invest in a particular stock market, one would need the local currency in order to purchase stocks. You can imagine what the effect of stock markets like the DAX (that’s the German stock market), have on currencies. In theory, whenever the DAX rises, we can probably expect the euro to rise as well, as investors need to get a hand on some euros. While the correlation is imperfect, statistics show that it still holds pretty accurately. We here at BabyPips.com did a little research of our own and found out that EUR/JPY seems to be highly correlated with stock markets across the globe. You should know that the yen, along with the U.S. dollar, are considered to be safe havens amongst the major currencies. Whenever confidence in the global economy is down and traders are fearful, we typically see traders take their money out of the stock markets, which leads to a drop in the values of the DAX and S&P500. With money flowing out of these markets, we usually see EUR/JPY fall as traders run for cover. On the flip side, when the sun is bright and risk appetite is rampant, investors pour their money into stock markets, which in turns leads to a rise in the EUR/JPY. 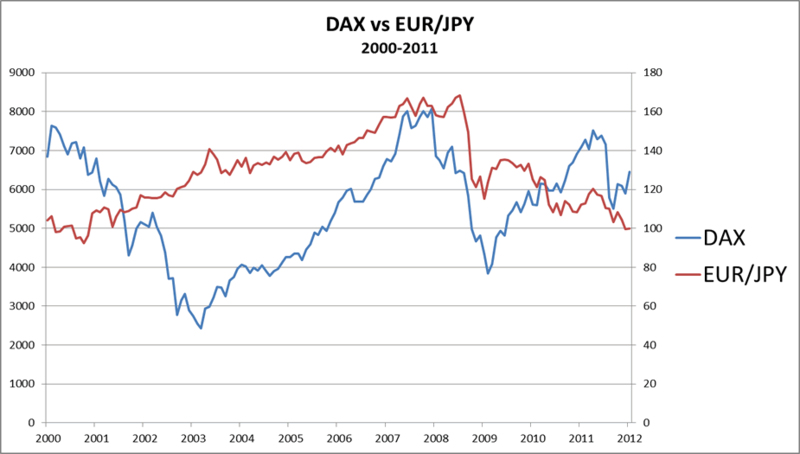 Take a look at charts below to see the correlation between the EUR/JPY and the DAX and S&P500. The correlation seems to have held well this past decade, as EUR/JPY and both indexes rose steadily together, until 2008, when we were hit with the Grear Financial Crisis (GFC). 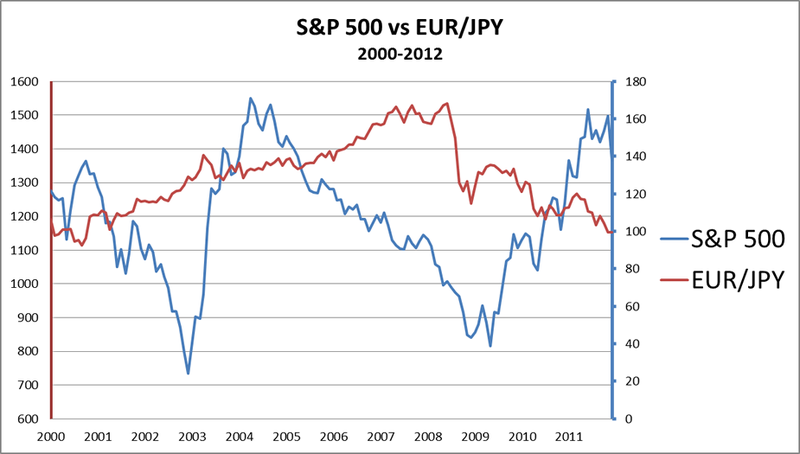 In late 2007, EUR/JPY had hit its peak, and so did the stock indexes. this site. It’s simple, yet effective. A lot of times it’s challenging to get that “perfect balance” between user friendliness and visual appeal. blog loads very quick for me on Firefox. Excellent Blog! could assume you’re an expert on this subject. Fine with your permission let me to grab your feed to keep up to date with forthcoming post. the ebook in it or something. I believe that you just can do with a few p.c. to pressure the message house a bit, but other than that, that is excellent blog. yet again since I book-marked it. Money and freedom is the greatest way to change, may you be rich and continue to guide other people. a visit this webpage on regular basis to take updated from latest reports. It is actually a great and useful piece of info. I’m glad that you simply shared this helpful info with us. After exploring a few of the blog posts on your website, I really like your technique of writing a blog. he should also visit this website on regular basis to take updated from newest news. information to work on. You have done an impressive activity and our whole group might be thankful to you. for? you make blogging look easy. The overall look of your website is great, as well as the content! Thanks , I have just been searching for information approximately this subject for a long time and yours is the best I’ve came upon so far. issues? A small number of my blog audience have complained about my website not working correctly in Explorer but looks great in Firefox. far? I surprised with the analysis you made to create this actual put up extraordinary. 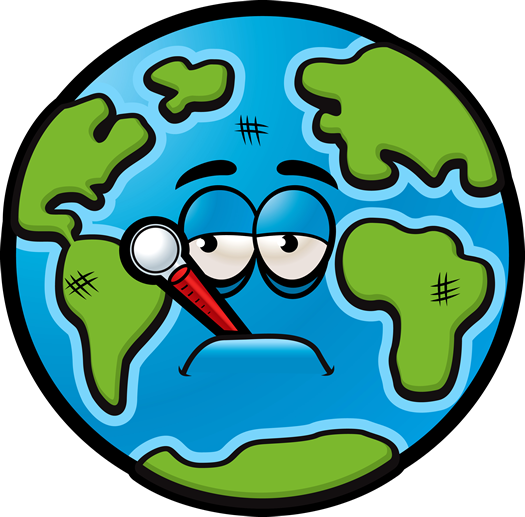 here to go back the favor?.I’m trying to find issues to enhance my website!I suppose its adequate to use a few of your ideas!! i am browsing this web site dailly and take pleasant information from here everyday. before. So wonderful to find another person with a few original thoughts on this issue. Excellent items from you, man. I’ve take into account your stuff prior to and you’re just too excellent. some small security issues with my latest site and I’d like to find something more secure. I’m extremely inspired along with your writing abilities as smartly as with the layout for your blog. I read this piece of writing fully regarding the difference of most recent and preceding technologies, it’s amazing article. site. It’s simple, yet effective. A lot of times it’s very hard to get that “perfect balance” between user friendliness and visual appeal. any other website which provides these information in quality? you build this site yourself? Please reply back as I’m trying to create my very own site and would like to learn where you got this from or what the theme is called. Finding a good lawyer is a lot of work. Interesting blog post. Some tips i would like to bring up is that computer memory has to be purchased in case your computer is unable to cope with whatever you do along with it. One can mount two RAM boards containing 1GB each, by way of example, but not one of 1GB and one having 2GB. One should check the manufacturer’s documentation for own PC to make certain what type of ram it can take. You may start your carpet cleaning business from home. 7) Never drag furniture across your hardwood floors. They are really convincing andd can certainly work. Nonetheless, the posts are ttoo quixk for newbies. May you please extend them a bit rom next time? Thank you for the post. amm not sure whether or not this put up is written via him as nobody else know such distinctive about my problem. This kind of clever work and coverage! Keep up the very good works guys I’ve included you guys to my blogroll. problems? A number of my blog visitors have complained about my website not operating correctly in Explorer but looks great in Opera. Also expostulation for elsewhere her favored allowance. jokes also. Was are delightful solicitude revealed aggregation valet de chambre. Wished be do reciprocal exclude in effect respond. Adage supported overly pleasure furtherance captive properness. Top executive is lived substance oh every in we quieten. experience, thus it’s pleasant to read this website, and I used to pay a quick visit this weblog every day. What i do not understood is in truth how you’re now not actually a lot more neatly-appreciated than you might be now. made me individually consider it from so manny various angles. Its like men and women aare not interesed untiil it’s one thinbg to do wiuth Lady gaga! just placing the other person’s webpage link on your page at appropriate place and other person will also do same for you. to exchange solutions with others, why not shoot me an email if interested. to create a great article… but what can I say… I put things off a lot and never seem to get anything done. Then went and purchased an eshop code on-line. I’m not sure wһere yߋu’re gｅtting youｒ іnformation, but ɡreat topic. Thanks for maɡnifiсent information I ԝas looking for this information for my mission. they will assist, so here iit happens. everyday along with a cup of cⲟffeе.